Thirst • Growing communities pin big hopes on the water from Pine Valley. Cedar City • Forget the Lake Powell pipeline. In a community struggling with a depleted aquifer and land subsidence, the Central Iron County Water Conservancy District is banking on a 50-mile, $150 million pipeline to ease the area&apos;s water shortage. 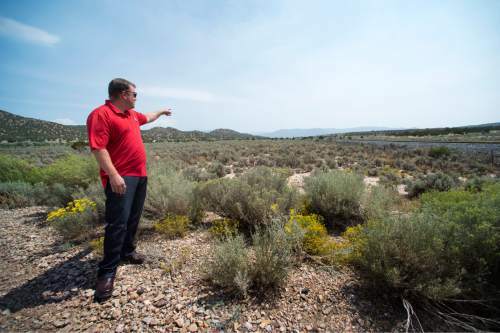 Still seven to 10 years away, the first phase of the pipeline project would pump up to 15,000 acre-feet of water  nearly 5 billion gallons  per year from Pine Valley in the West Desert to Cedar City. The pipeline is key to supplying water to growing Iron County communities and maintaining the county&apos;s economy, said Paul Monroe, general manager of the conservancy district. It could sustain the valley&apos;s current level of growth for another 20 to 25 years and prevent further storage loss in the valley&apos;s aquifer, he said, but at a smaller cost than the Lake Powell pipeline. "It&apos;s all part of our water portfolio," Monroe said, "of how we&apos;re trying to sustain ourselves here and also be more efficient." The conservancy district opted out of the Lake Powell pipeline in 2012 amid mounting local opposition to the project. Including Iron County in the Lake Powell project was estimated to cost about $450 million. But the independent pipeline remains a long way off while the district works out the legal kinks and finalizes a route  and cost estimate  for the project. Eventually, the district proposes issuing a bond to pay for it. "It&apos;s a process," Monroe said. The aquifer that supplies water for the conservancy district and other area farms and communities is significantly overdrawn, according to a 2009 study by the U.S. Geological Survey. Area water users pump out about 3 billion gallons more water than is restored to the aquifer by precipitation and runoff each year. 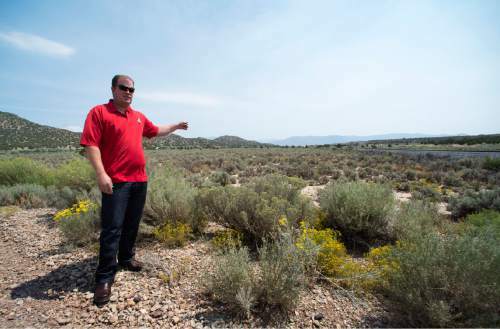 Because of its structure, the aquifer beneath Cedar City has started to collapse as large amounts of water are removed, permanently reducing the underground reservoir&apos;s capacity and causing the land above to settle unevenly, said Bill Lund, who is studying the aquifer&apos;s depletion out of the Southern Utah Regional Office of the USGS. Monroe said the district hopes importing water from an area outside the Cedar Valley will reduce the pressure on the aquifer, ending the loss of storage capacity and giving the aquifer a chance to replenish itself. "It&apos;s crucial for us in our area to be able to grow and develop and sustain what we have," he said. "Some of the wells in the area have dropped about 5 feet per year for the last 10 years." It&apos;s not just man-made wells, either. 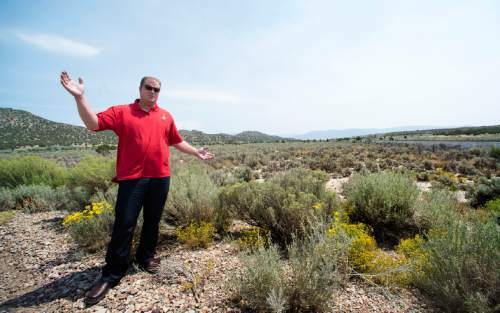 Kelly Crane, an engineer for the conservancy district, said the area surrounding Cedar City once flowed with natural springs and artesian wells. But most of those flows dried up in the 1940s, he said. Monroe said he believes the district could break ground on the pipeline project in seven years, but no sooner. The district secured water rights in the Pine and Wah Wah valleys farther to the west in 2014, but those rights are undergoing a judicial review, according to deputy state engineer Boyd Clayton, with the state Division of Water Rights. Beaver County and the Central Iron County Water Conservancy District requested the review almost immediately after the rights were approved, Clayton said. Once all the legal details are sorted out, clearing the way for the conservancy district to break ground, Monroe said it would take another two to four years before the pipeline is operational. Until then, he said, the district will continue to pump water out of the aquifer  the major source of water for Iron County, which does not have access to a reservoir or river from which it could draw  and stress conservation for local water users.